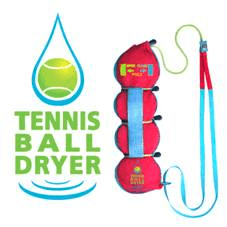 Tennis Ball Dryer…an eco friendly tennis accessory that saves players money! 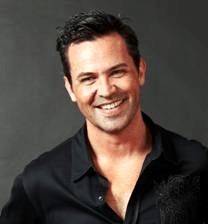 After many years of playing tennis, I became aware of a regular annoyance suffered by most tennis players around the world and decided to find a simple solution that everyone could use. When playing outside, tennis courts often retain moisture from recent rainfall, dew or frost. This plays havoc with our tennis balls. The tennis ball fibres absorb any moisture on the court surface and if left wet for too long, lose pressure and bounce ability. Tennis Players have all been there. We place our furry wet tennis balls back in their tins until our next match, only to discover they are still wet and have lost their bounce when we re-open the tin days later. The tennis balls are no longer of any use and end up being discarded for new tennis balls. It is an unnecessary waste of our money and time. Recognising other players also found this annoying, I researched the topic and found there were no solutions for this problem in the marketplace, other than to just buy new tennis balls every time. There had to be a simple solution that could prevent the waste of good tennis balls, just because they get wet. Most club and recreational tennis players will use a set of tennis balls between 2-6 times, so a device that can maintain the balls longevity would have great value. With over 600 million tennis balls manufactured in the world each year, a solution to save tennis balls must be a good idea not only for saving players money, but also good for the planet. So I set about developing an easy to use, affordable device that we could all simply put our wet tennis balls into after playing outside and leave to dry until our next match. With tennis balls now costing up to £10/$15 in some shops, this would be useful for every tennis player who plays outside. With my skills as a professional designer and concept visualiser, I set about designing a solution. After two years of development, I designed a special three layered drying system made from various textile properties and combined them with a clever cord string closing mechanism to wrap the drying system around the tennis balls. Essentially, a three layered bag that holds four tennis balls and has a draw string handle that closes the materials neatly around the balls for maximum surface contact and drying efficiency. I then wanted to add more functionality to make it as useful as possible for the tennis player. So a shoulder strap handle was added to allow for easy carry functionality compared to the awkward ball tins. Discarding the sharp ball tins and using the 4 ball bag instead for kids was another worthy consideration for parents. I then integrated a 914mm net measure marker system to the shoulder strap to allow easy checking of the tennis net height during a match. A fourth function was added to keep drinks bottles cool whilst playing. Simply pop your already cooled drinks bottle into the bag and the cooling properties of the inner bag layer will help maintain the drink to be cool for longer. The Tennis Ball Dryer was finally conceived. A 4-in-1 function tennis accessory for every tennis player. I researched the tennis market and once I was happy with my design and initial working prototypes, I registered my design and concept with the patent office for commercial protection. The drawings were then submitted to a great model making company (Bang Creations UK) which made a working prototype of my design that could be taken to a manufacturer. With some additional help from MAS (Manufacturing Advisory Service) in the UK to finalise the engineering drawings for manufacturing purposes, it was time to begin production. After a frustrating 6 months wasted with factories failing to make a good working product, I finally found a manufacturer that understood how to deliver what was necessary. The ‘Tennis Ball Dryer’ was launched in 2010 with great critical acclaim from the tennis press. ACE Tennis magazine awarded Tennis Ball Dryer ‘the best tennis gadget of the year’ and Tennis Head magazine placed it in their ‘Fab Five Tennis Gear list’. I was also interviewed on the BBC evening news to discuss my eco money saving device. “Why wouldn’t every player want one” is a quote from a customer (D.Sandercock) who has confirmed it has saved him money several times over on new tennis balls already this year. I have now been granted the patent for Tennis Ball Dryer since application and have had thousands of successful sales through my own business website www.tennisballdryer.com, but also across Amazon, where Tennis Ball Dryer has been in the top 3 best selling of all tennis products during December, for two years running. Moving forward, I would like to partner with a well known sports brand such as Adidas or Nike that can help sell this on a far bigger scale through a larger distribution and promotional network. My company ‘Aspect Sports’ has proven there is a market for the ‘Tennis Ball Dryer’ and I am excited for the future of this product.